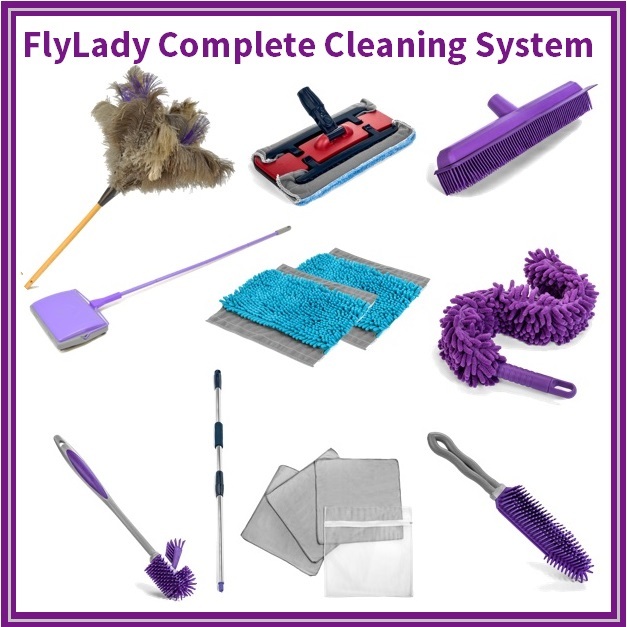 Kathy uses our FlyLady Mop on their showers and bathtubs. They set the handle in its shortest position. You can use it wet to scrub the walls or dry to soak up the moisture. My favorite cleaner for my tub and shower is the same stuff I use on my hair and body. It will really works on the soap film it makes. Soap is soap! We have all these great tools in one package. Check it out now. All you have to do is add a 1 inch three ring binder and you are set! I know you have one of those in your paper clutter. You are not going to believe this price. Only $16.47 with Control Journal and $9.95 for the Office in a Bag alone.